Home › faith › What Do You Do About That Praying Thing? 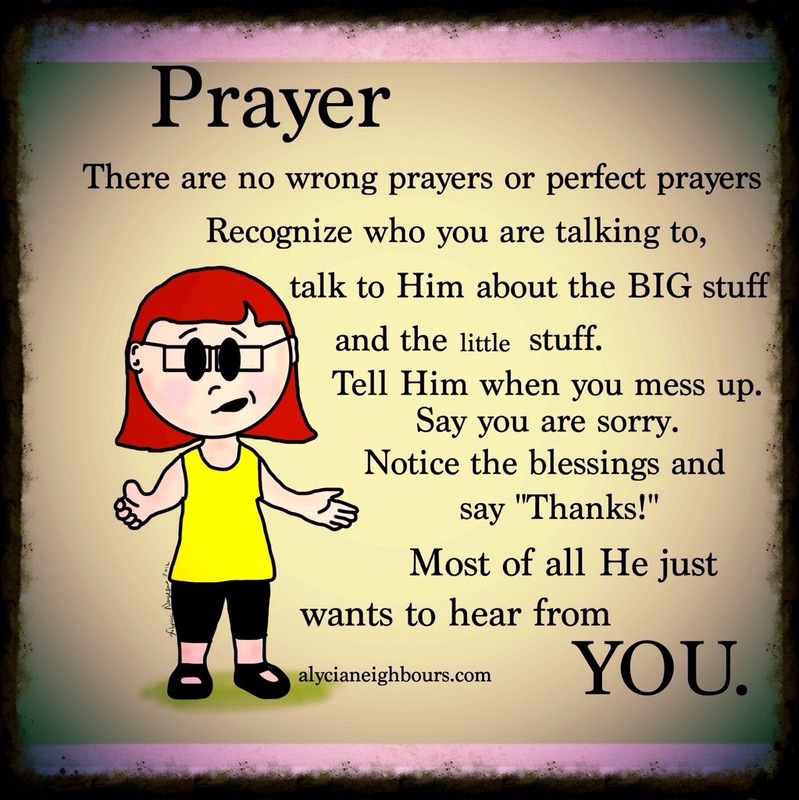 What Do You Do About That Praying Thing? What if we say the wrong thing? What if we mess it all up? Which prayer do you think God heard? Which prayer do you think touched God’s heart? The funky guy you can’t scrape off the bottom of your shoe. So if God knows everything in that omnipotent way He has, what’s the point of prayer? He already knows everything we have done and thought. Seems kind of redundant. One night I was eating some cookies after the kids went to bed and one wandered out and caught me. She would’ve just looked at me and I would have known she wanted one. Instead she asked if she could have one and I gave her two as she snuggled against me. Then once the kids were playing outside and as I was watching, one of them stopped running and started limping. We got to the door at the same time and it was obvious in his face that he had hurt himself, but He was crying and couldn’t form a coherent sentence. I picked him up and carried him to the kitchen counter where we could be face to face and where I keep medical supplies. I hugged him, because I knew he was hurting and I wanted to fix it. As soon as he could form some words, I heard “foot, sticks, ooowwwwww” So I looked at the bottom of his foot and noticed a cut. I quickly cleaned it up and stuck a band-aid on it. I would’ve examined him everywhere and found it, but when he communicated his hurt, I was able to get right to it and fix it. I couldn’t take away the scratch, but I could comfort him. Sometimes it feels like our prayers aren’t going anywhere. They are just bouncing off a cloud somewhere and we feel ignored. We are NEVER ignored, we are just being silently asked to be patient on His timing and plans for our lives. With how much love He put into creating you, why would He ever ignore you? He’s just up to something else that might not make sense now (it might even make you mad) but it’s for something greater than you ever imagined and you might not see it in your lifetime, but it will be there. It is His Guarantee. sometimes it can be so hard to form the words…. there have been times I have come seeking Him and can just manage a …”gaaaahhh” and if I walked away then; it wouldn’t be much of a meeting. but if I first just release that, then wait, still ….. linger; of course He always shows up and then we got ourselves something. But I am always so thankful that I know He got me at “gaaah”. I’ve met him many times growling, moaning or hiccup crying….He wants and understands it all.